Anand Kumar is an Indian mathematician and a columnist for various national and international mathematical journals and magazines. He is best known for his Super 30 programme, which he started in Patna, Bihar in 2002, and which coaches economically backward students for IIT-JEE, the entrance examination for the Indian Institutes of Technology (IITs). By 2011, 236 of the 270 had made it to IITs and Discovery Channel showcased his work in a documentary. 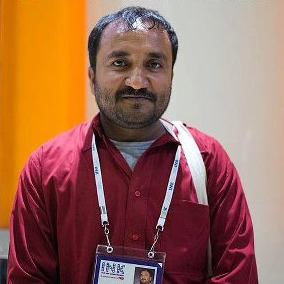 Anand Kumar was born in Bihar. His father was a post office clerk in Bihar. His father could not afford private schooling for his children, and Anand attended a Hindi medium government school, where he developed his deep interest of Mathematics. During graduation, Kumar submitted papers on Number Theory, which were published in Mathematical Spectrum and The Mathematical Gazette. Kumar would work on Mathematics during day time and would sell papads in evenings with his mother, who had started a small business from home, to support her family. He also tutored students in maths to earn extra money. Since Patna University library did not have foreign journals, for his own study, he would travel every weekend on a six-hour train journey to Varanasi, where his younger brother, learning violin under N. Rajam, had a hostel room. Thus he would spent Saturday and Sunday at the Central Library, BHU and return to Patna on Monday morning.